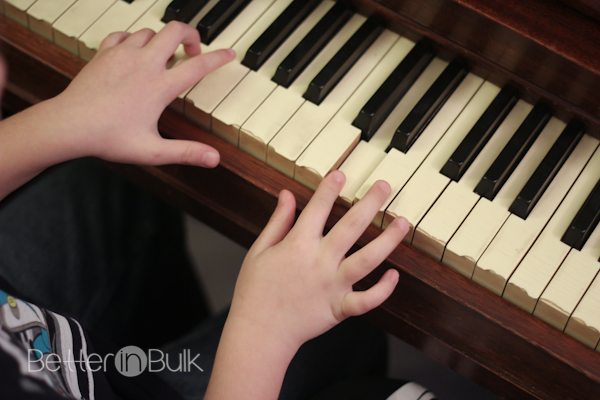 My son had a friend over today, and I thought it was so adorable that the first thing they did together was sit down at the piano, side-by-side, and play a few songs. Aren’t these adorable piano fingers? (Please ignore the condition of my piano. We found it at a yard sale in 1999 and despite the state of the keys, it’s a wonderful instrument!). Awww that is just so sweet! Thats awesome that theye can both play the piano, wished myself and my kids knew how to play the piano. Love these photos! So cute! It’s good to take time for this! 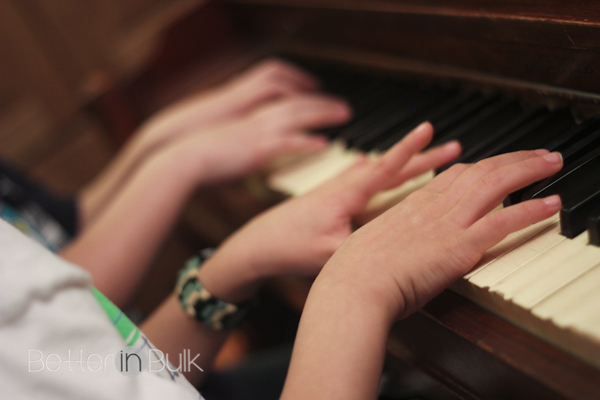 I always wanted my children to learn to play the piano but I have not succeeded yet. Oh that really is so sweet! Aw, Lolli, how sweet of them! I’ve played the piano since I was about your sons age, and it’s lovely that he and his friend are enjoying it too! That is so sweet! Instead of playing video games, they played the piano. I love that. Thanks! Of course, they played video games NEXT…but at least they started with the piano, right?